Welcome to the best part of Montana! 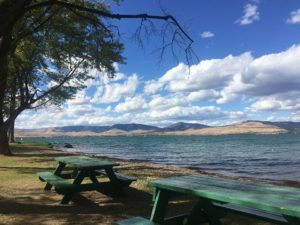 If you enjoy small towns and friendly people in a spectacular setting, Polson is the place for you and your family. With great schools, excellent healthcare facilities and a growing economy, life in Polson provides a great balance between work and play. Explore the valley with our Flathead Lake Map! Polson residents enjoy a relatively moderate climate in both summer and winter months. It is not uncommon to find Polson blanketed in snow, but it is rarely the harsh and bitter cold of other areas. In Polson April does really bring Spring showers, almost daily throughout the Spring season. Summer Polson residents enjoying the beautiful lake and the warm, dry weather.